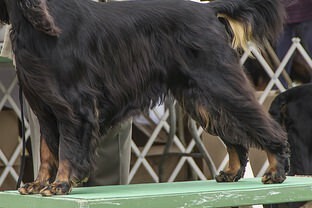 I have a bit of a dilemma here with the Gordon Setter grooming video I’m about to share with you. See, I have a confession, and it may shock you just a little but please remember not to gasp too loudly as you’ll wake the sleeping dog! So my confession is, while I had every intention of (1) either sucking someone into doing a video to share here or (2) having someone film me doing a foot grooming demonstration – I haven’t actually gotten around to doing either of those things yet. But wait, that’s not the confession. 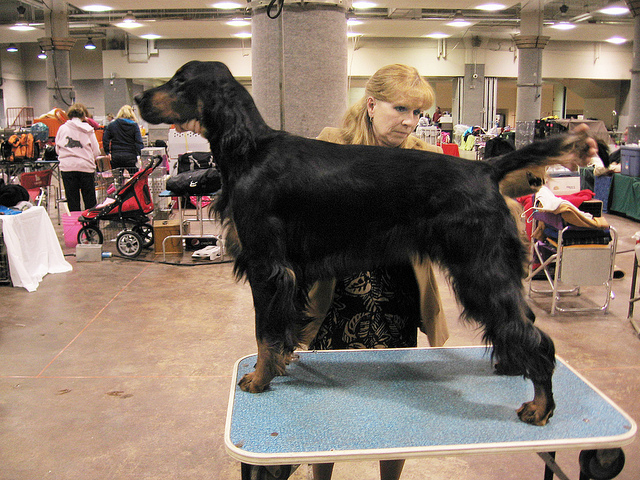 See the confession is, this is meant to be a Gordon Setter demonstration, but, well the truth is, the dog on the table is either highly marked for a Gordon, a red Gordon, or maybe – perhaps it’s our red-headed cousin the Irish Setter. Shhhh, I told you the dogs were sleeping! So, anyway, this is a darn good video, the lady who’s doing the demonstration gives excellent instructions, (and her dog holds still much better than mine would). But most importantly, what I loved about this video was that she takes the time to explain about cutting the hair between the toes in straight up and down lines, rather than at an angle, and that my friends can make all the difference between whether your Gordon Setter’s feet look like the cat paws they are supposed to resemble, or like Briar Rabbit’s hare feet! Hare feet – toes look too long and flat on front feet. Oh, and if there are any budding film-makers out there with a pair of scissors and a hairy Gordon Setter who’d like to top this award-winning presentation please send those entries to: GordonSetterExpert@gmail.com! So sorry Bob, I did fix it and it works now! Thanks so much for the heads up Bob! Link has been fixed, should work now. Sorry for the inconvenience folks!